Taking care of your immune system is the key to getting well and staying well. Incorporate these simple elements into your daily life and you can truly create robust immunity and vitality. Get 7-9 hours of sleep every night. If you’re having trouble sleeping, talk to your health care provider about supplementing with Melatonin which also supports normal antioxidant function. A normal sleep cycle is linked to reduced rates of cancer. Make sure you get a minimum of 30 minutes of moderate exercise every day. Keep in mind that strenuous or prolonged exercise can have the opposite impact on your immunity. A 30-minute walk can meet your exercise needs while invigorating your senses and lifting your mood! Take a high potency high quality multi-vitamin daily (iron free and copper free) check with your doctor first. It’s often hard to eat during treatment and your nutrient needs are increased. Taking a high quality supplement is a good insurance policy, especially if you struggle to get adequate fruits and vegetables into your daily diet. Make sure you get 3-4 servings of high quality protein daily (or use protein powders, smoothies and shakes to supplement). Although plant based diets show lower rates of cancer, it is not required to be vegetarian or vegan to eat a healthy anti-cancer diet. Low immunity as well as poor wound healing is linked to inadequate protein intake. Ongoing stress saps immunity and resistance to illness. Consider incorporating Adaptogenic Herbs such as Astragalus, Ganoderma, Cordyceps, Ginseng, Eleutherococcus (Siberian ginseng), Ashwaganda, Agaricus, and Rhodiola (with the permission of your doctor) into your diet to support your physical body in managing stress. Balance this with 30 minutes of daily exercise and purposeful relaxation time. Eat fermented foods or take a probiotic supplement (ask your doctor first). The health friendly bacteria in your gut is actually a vital and essential part of normal immunity as well as normal detoxification and inflammation control. Ask your health care provider to perform a blood test to make sure your Vitamin D levels are between 55-80 ng/ml. Low levels of Vitamin D have been linked to increased rates of infection and increased rates of cancer. While it’s a good habit to get a 30 minutes of sun exposure in the morning or late afternoon to increase Vitamin D naturally, it can be difficult to bring your levels up to the ideal range without a supplement. I recommend Vitamin D Synergy with Vitamin K, but you can pick up a Vitamin D supplement at nearly any grocery store. Mushrooms are rich in polysaccharides and beta glucans that enhance normal robust immunity. Mushrooms are also rich in Selenium which has been shown to be a vital nutrient to normal immune and cardiovascular health. Tip: you can also get a daily dose of Selenium from just 2 brazil nuts daily! 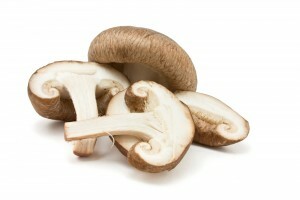 Be sure you do not have a food sensitivity before you incorporate mushrooms into your regular diet. Natural Killer Cells are part of your immune system’s army that specifically targets viral infections and tumor cells. Acupuncture may trigger your body to produce more Natural Killer Cells, boosting your immunity and resistance to infections. Meditation doesn’t require yoga pants and a zen garden. 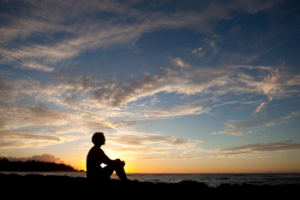 Just find a peaceful or quiet space and clear your mind for at least 20 minutes once or twice daily. Meditation not only has a positive impact on immunity but also on mood, sleep, concentration and memory.